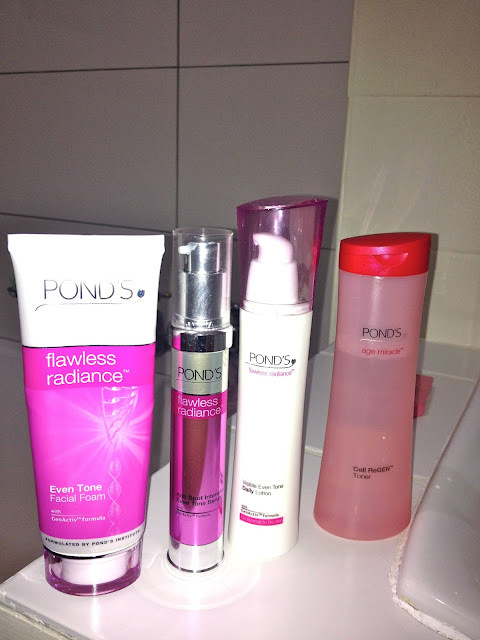 missmilliworld: Product review: Ponds Skin Care Range. I don't usually do this but if I feel like something needs to be shared, you know I am an avid sharer. A few weeks ago while traveling, I ran out of my usual face wash and moisturizer. I was in a foreign country where my usual product was unavailable and I ended up using those horrible sample sized generic hotel products which my skin did not appreciate. It retaliated by breaking out, obviously. It didn't help my skin cause that I had spent literally all of my money on fabrics and other trinkets because when I returned, I didn't have the money to buy my usual products. As things fortunately go down in my life, during this period of lackluster skin, I rrrrrandomly received an email from the people at Ponds, asking me if I'd like to try their products. 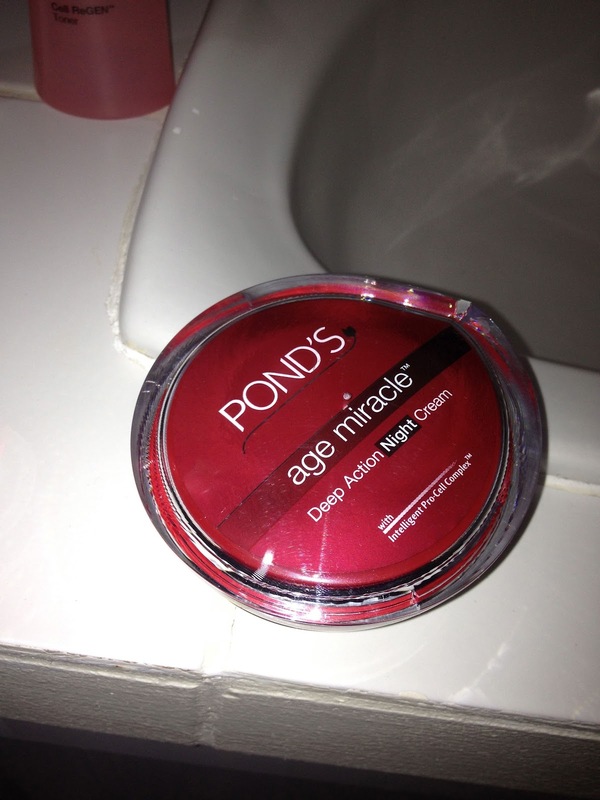 Ponds? ''Mmmighhi don't know'', I thought. ''That vanishing cream my mom used to use back in the 90s, I didn't even know it was still around''. But really, did I have a choice? I said yes and a few days later, a big box arrived at my doorstep and soon it was bath time. When I first saw the packaging, I thought ''gees times have changed, it's actually really cute and expensive looking''. And I'm all about packaging. It it looks good, I am more likely to buy it. The box contained bottles and bottles of everything but vanishing cream, which I was very happy about. I had a choice between a range called Flawless Radiance and one called Age Miracle. Because I still have my youth, thank goodness, I decided to first try the Flawless Radiance range. There's a facial foam, a toner, a spot removing serum and a cream based day lotion and an eye cream. I must confess that I'm not a cleanse, tone, moisturize twice a day with six different products kind of girl. Life is too short. But because the product was there, I decided to try the routine at least in the mornings. After 14 days of this routine, I'm still doing it. At first the facial foam, which is thick and creamy with tiny micro particles, felt very dry on my skin once it was washed off. When I applied the toner, serum and moisturizer, my skin felt taut but good and after about 7 days, my skin felt less dry after the facial foam. I guess it got used to it. The toner, which smells great, isn't harsh. It's almost as if my skin begs for it after a wash. I usually only apply serum when I'm going to wear make up, which is 70% of the time, I find that it adds a certain glow to my face. Two squirts of the moisturizer directly after applying the serum usually works and three if there's no serum. I was nervous that it would dry my skin in an effort to eliminate oiliness but it didn't, it felt just right. My only issue with the day lotion is that it isn't SPF based and so on top of this rigorous routine, I have to add sunscreen, which I am not disciplined about. i.e it won't happen. 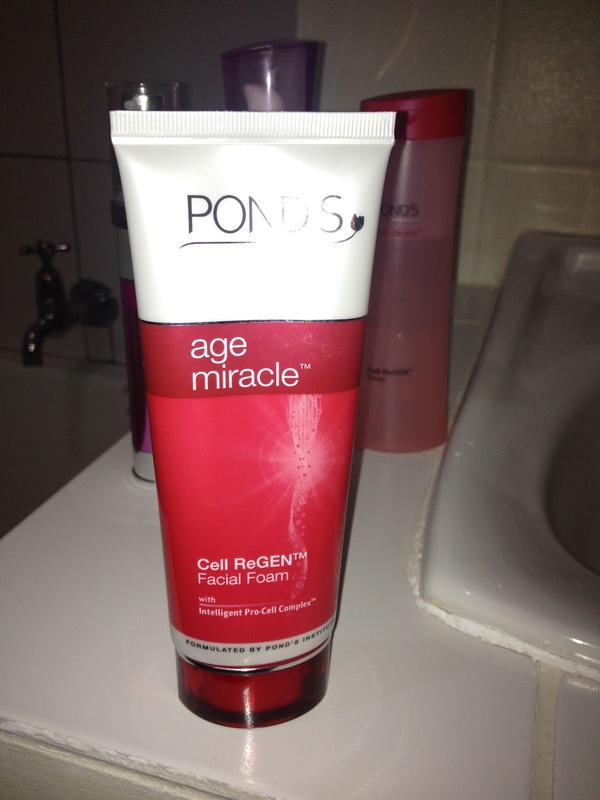 Two weeks after trying the young people stuff out, I decided to try the Age Miracle range and I really like it. It's much softer on the skin, as in more moist. I don't only use it at night though, I kinda free style and use it during the day on weekends. I wonder if that makes any difference. Three weeks later, I wouldn't say that this range is the oracle for perfect skin, but my skin likes it. For Xhosa speakers, ingathi ndiqhunkqile lol! Although the focus is about having an even tone and no dark marks, my skin isn't necessarily brighter, but it's better. And in all honesty, that comes as a welcome surprise. As a walking "lunch bar" that's just come out of my rough (skin and otherwise) late teens and living on a "student budget" how affordable is this miracle stuff? Ayiphashisi right? And you're right, the packaging's got me too. Hahaha Hey WALKING LUNCHBAR. That used to be me too. The stuff is pretty affordable hey, all under R100 for the pink stuff! i love it too it has helped me a lot. Haha, Milisa! Your expressions are priceless. Enjoyed reading this. Hi friends! My name is priya Ranjan and I am going to share you something about Tattoo removal . Before few months I want to remove our tattoo but not any clinic I found which can remove my tattoo. One day my friend told me about Klinik Esthetika. I visit that clinic and take their service for two months. After two months my tattoo was removed and my skin is in same as before. Thanks to Klinik Esthetika for this Tattoo Removal. Good information. Lucky me I came across your website by accident on google search..
Great! Love it. Every female wants to become beautiful also me. Do you know? how to tan perfectly, then let me know. Skattie are you sober of is jy dronk? What are you gonna do today, Napoleon?